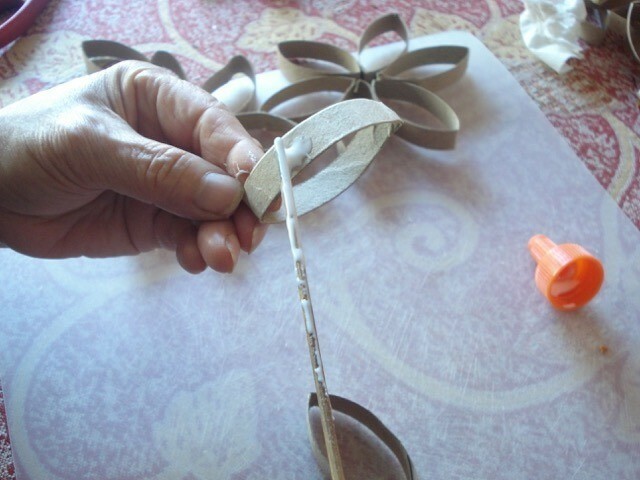 This is a guide about making a cardboard tube wreath. 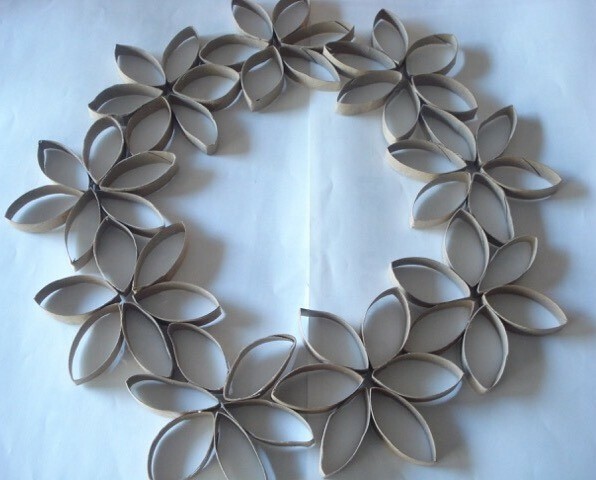 A lovely, inexpensive wreath can be fashioned from flattened, cut, and glued cardboard tubes pieces. 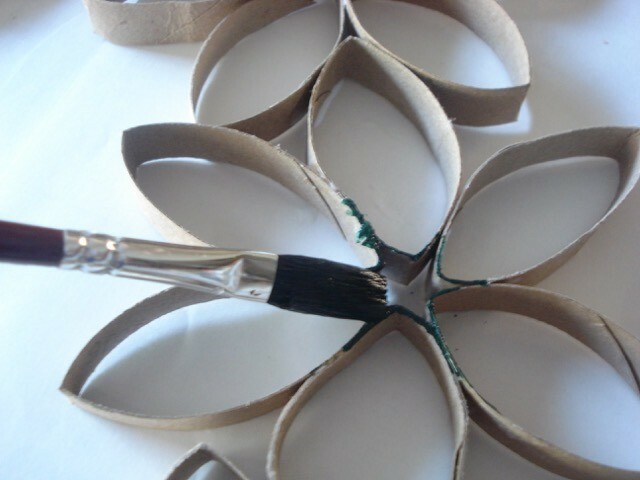 This is a gorgeous way to recycle the cardboard tubes from the inside of your toilet paper or kitchen roll. 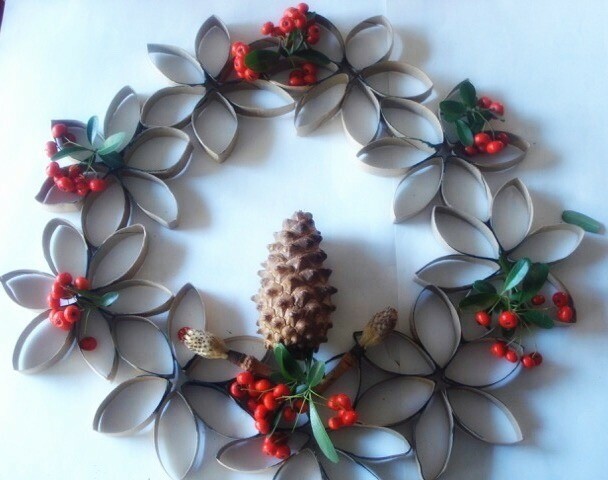 You can dazzle them up with some colourful findings from nature outside. Enjoy and happy holidays! 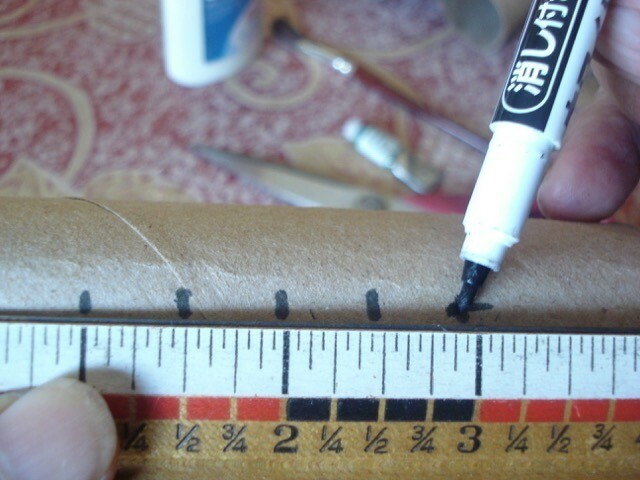 Start by flattening the tubes then marking them at about 1/2 an inch. Cut tubes horizontally at the markings all the way through to make several rings. 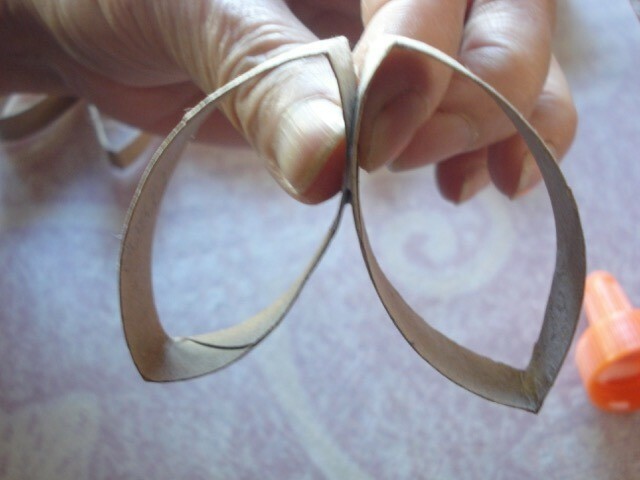 Because the tubes were flattened, they form this cute pedal shape. 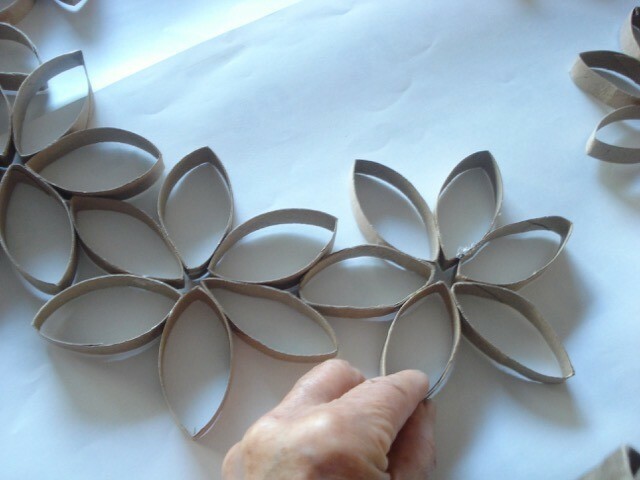 Glue six of them together to create one flower. Repeat with the rest. 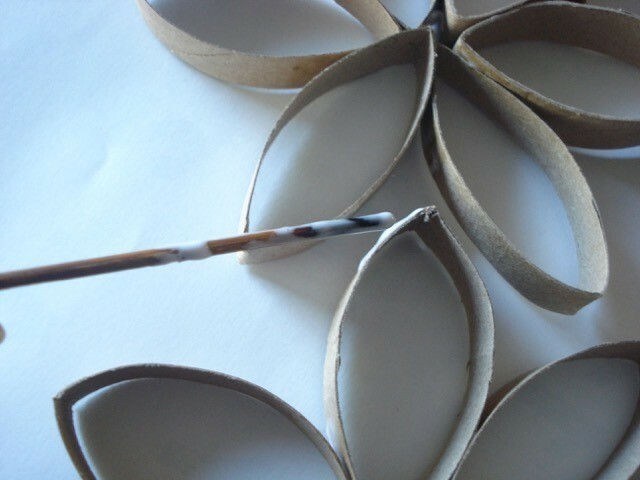 When the flowers are made, lay them together in a ring to make sure your wreath looks right before you finally glue them all together. 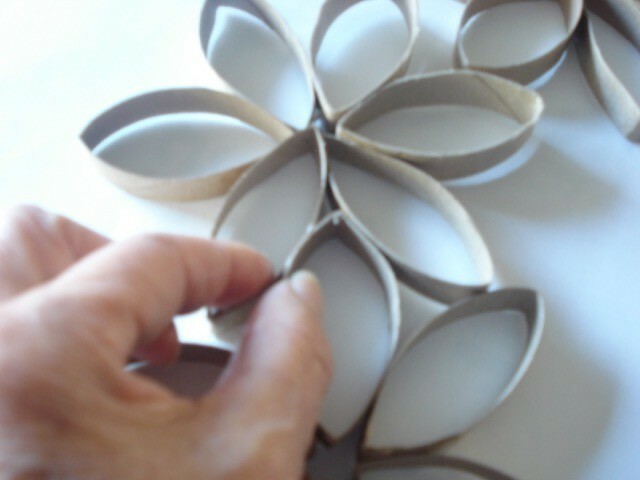 Glue the flowers together. 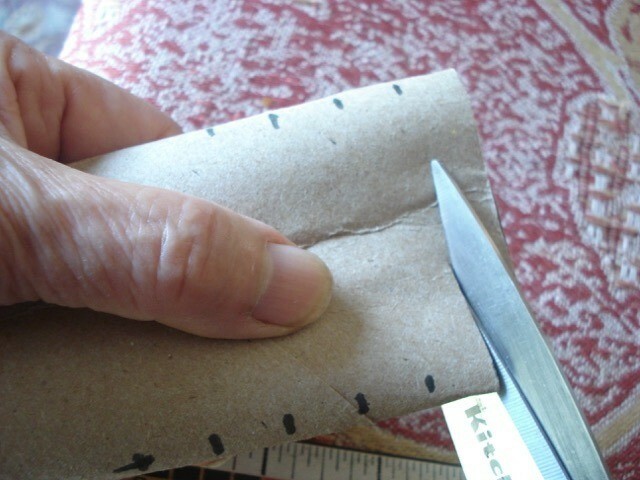 Pinch to hold. Let dry. 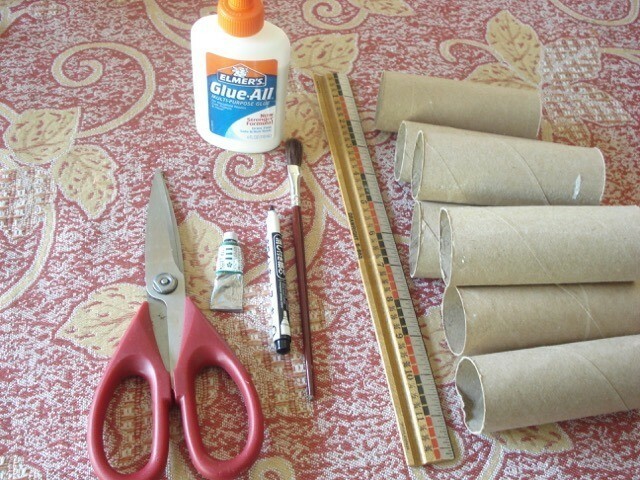 If desired, dab a bit of green paint on the edges (or all over the tube pedals) and decorate with garden foliage. 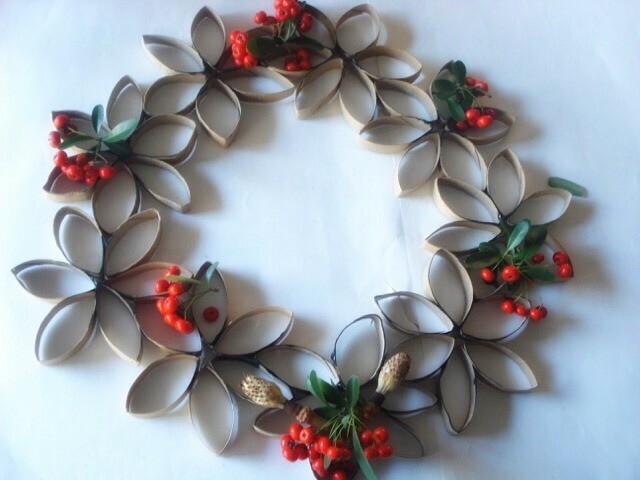 Create this beautiful Christmas wreath from paper towel or toilet paper tubes. 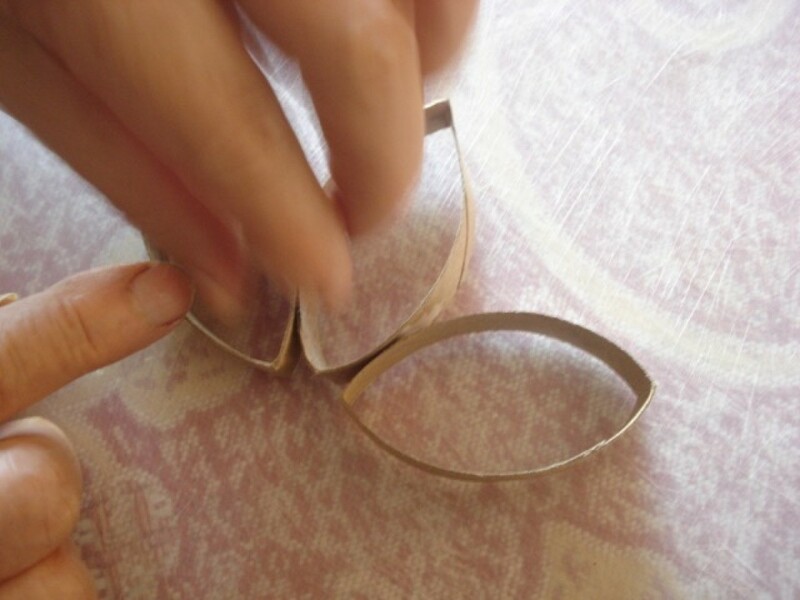 Learn how to make it in this short video.